First-time home buyers may not realize that all income is not considered qualifying income for the purpose of FHA home loan approval. But what does this mean? Isn’t all income considered when the lender is trying to determine if you can afford to purchase a first home or starter home with an FHA loan? February 20, 2019 - First-time home buyers may not realize that all income is not considered “qualifying income” for the purpose of FHA home loan approval. But what does this mean? Isn’t all income considered when the lender is trying to determine if you can afford to purchase a first home or starter home with an FHA loan? All income is not the same when it is time to use that income for qualifying purposes. The lender needs to verify that the income is both stable and reliable, and will continue. The lender will have varying methods of determining this depending on the nature of the funds and how they are paid to the borrower. For example, the FHA loan rulebook, HUD 4000.1, states that alimony and child support may be considered income, but the borrower will have to provide documentation showing the history of these payments, any court orders or agreements that codify the payments somehow, and any evidence that the income is likely to continue. 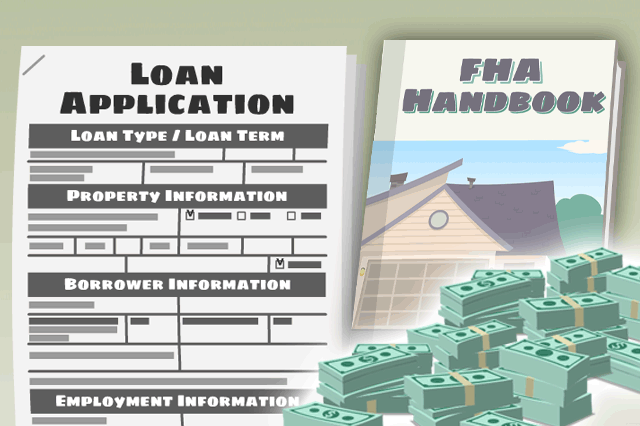 Lender standards and not just FHA home loan rules will apply in these situations, so it’s very good to ask the loan officer what standards may be required to be met beyond the FHA home loan rules. What Does Not Qualify as Income? As you can see, the likelihood that the income will continue is an important aspect of the verification process. What does NOT qualify as income includes hobby income such as selling items or services on eBay or other online retail operations, income that is not likely to continue such as one-off goods or services transactions, part-time jobs you haven’t held for more than a year, or education benefits such as the GI Bill, which do not continue indefinitely and are not likely to continue for at least three years. Again, lender standards may apply above and beyond FHA home loan rules in this area-it’s good to ask the lender what may be required in your specific circumstances.